We had a great time Saturday, 21 July 2018 at the NMHS Seminar Series Excursion to the Hudson River Maritime Museum and Scenic Hudson Lighthouse Cruise. 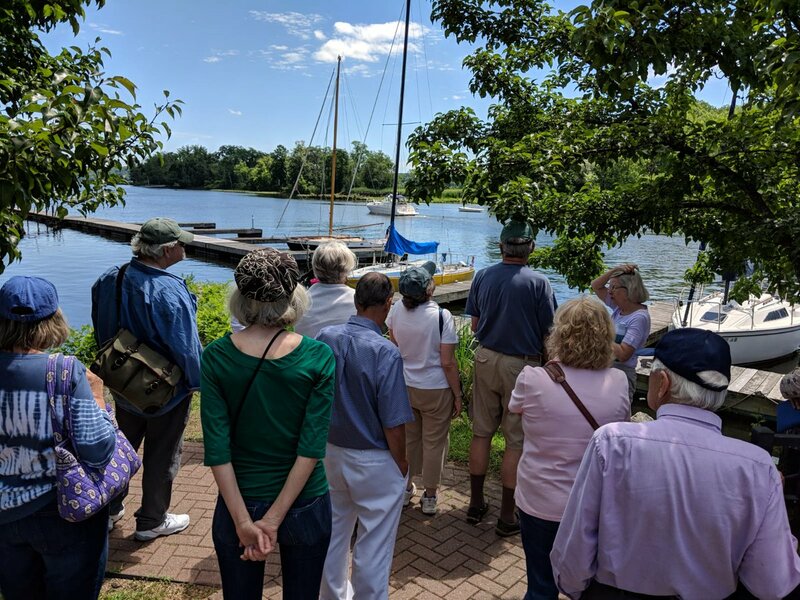 We met in the morning at the Hudson River Maritime Museum in the heart of the historic Rondout waterfront district (at 50 Rondout Landing, Kingston, NY), with tours of the museum and grounds starting at 10:30 AM. We explored wooden boat building on the Hudson, artisan boat models from the museum’s collection, Hudson River lighthouses past and present, the hands-on replica of the aft cabin of Henry Hudson’s Half Moon, the steam tugboat Mathilda and much more about the area’s industrial, maritime and ecological history. Later we had a sumptuous lunch at the nearby waterfront restaurant Ole Savannah, followed by a two-hour sightseeing our on the venerable Rip Van Winkle cruise boat. From her decks we enjoyed great views of historic Hudson River lighthouses (including the Rondout Lighthouse and the Esopus Meadows Lighthouse), waterfront mansions, and other notable locations.